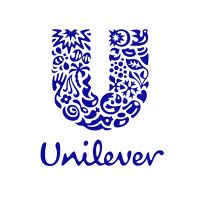 Finance Business Partner reports to the Finance Director and will be required to proactively challenge and drive the business agenda, by providing financial support, guidance, and insights to Unilever Tanzania business unit. In addition, the FBP will ensure that financial considerations are the key criteria in all business decisions. Provide decision support, analysis and advise to the Customer Development Leadership Team to ensure customer/channel profitability and effective management of trade marketing investment. Co-lead and facilitate Channel/Distributor segmentation exercises. Drive the promotional effectiveness agenda in Distributor Trade (DT) and actively participate in promotion pre and post evaluation. Provide finance expertise in various DT initiative and assist DT practitioners in matters relating to Finance, which include (but not limited to) inventory and debtor management, taxation, investment analysis, etc. Support Tanzania team in decision making through regular reporting of business performance and adhoc financial simulations. Provide business partner support to several r Directors and their teams. Delivering strong financial analysis to allow good decision making and managing trade terms structures of these customers in order to deliver maximum benefit for the business. Drive OPSO (Promotional Evaluation) Process at key customers in order to improve Promotional effectiveness and average Return on Investment.